If you're one of the many women who think eye creams are just another way for the cosmetic industry to get you to buy more skin care products, dermatologist Kenneth Beer, MD, PA, says you should reconsider. The skin around your eye is the thinnest layer of skin on your entire body, and therefore the most sensitive, he says. So using a cream made specifically for your eyes is crucial, especially as you age. "Eye creams can, and often do, show results if they are used appropriately and for a long enough time," says Beer. The trick is to find the best eye cream for your skin's needs. 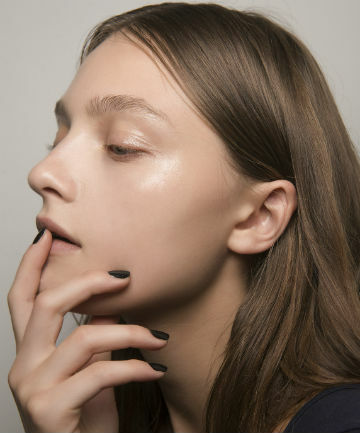 If you feel like you've been duped by the hundreds of eye creams on the market promising to erase your dark circles, puffiness and fine lines, you probably haven't tried the ones on this reader-approved list. Our reviewers have tested all the potions, creams, and elixirs for the delicate eye area and boiled it down to these 16 eye creams that actually work — and we've even added in a few editor's picks too. Ready to become an eye cream believer? You should try and put some olive oil or castor oil on under your eyes before you go to bed.. It definitely helps! Made from Earth even makes an eye cream which has olive oil in it for use under the eyes called the Olive Night Cream. . . THANK YOU--with the plethora of creams and claims, it's hard to know what to purchase. Before applying a cream, I would suggest to use a skin roller to create tiny holes in the skin so the cream is delivered to deeper layers of skin. See today's groupon goods deal for derma roller and collagen cream. Thanks for the helpful information. I wish the cost wasn't so expensive. Love the Guerlain Orchidee Imperiale eye and lip cream...a little goes a very long way. I tried a sample first. Then bought the starter kit for Orchidee. I just ordered the MK firming eye creme. I've used it before and my Arbonne one was leaving my eye area all dry. :-( In the mean time I found one by Aardvarkskincarethai. It uses natural ingredients and oils. Loving the difference so far! Eye cream is so expensive. I've heard you can just use your face cream. Does this stuff really help with wrinkles and color? I haven't seen anything yet that can.